Garage Door Repair, Muskoka, ON | AAA Door Guys Inc.
We perform garage door repairs in the Muskoka, ON area and are known for our affordable and professional service. Garage Door Repair in Muskoka – If you ever try to open up your home or business’ garage door and it doesn’t work, don’t panic. Instead, give us a call at AAA Door Guys Inc. We perform garage door repairs in the Muskoka, Ontario area and are known for our affordable and professional service. 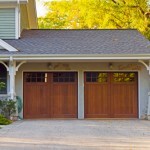 We realize that most garage doors don’t malfunction when it’s convenient. For this reason, our garage door repair services are available 24/7. Whether you need us to come and fix your home’s garage door before you head off to work in the morning or need someone to repair your business’ overhead door before opening up for the day, you can rest assured that we’ll be there for you. We also know that when you need a garage door repair done, you want to make sure that it’s done right, so you don’t have to deal with the hassle of a malfunctioning door in the near future. Thanks to our extensive experience and commitment to your satisfaction, you can rest assured that we’ll take care of your garage door problem correctly on the first try. To prevent emergency repairs, we highly recommend signing up for our garage door maintenance program. When you participate in this plan, we come to your home or business on a regular basis and perform a thorough inspection of your system’s major parts. At AAA Door Guys Inc., we’re here to meet all of your garage door repair needs. Contact us today to find out more about our services. 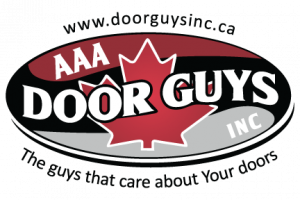 At AAA Door Guys Inc. we offer quality and affordable garage door repair in Muskoka and the surrounding areas including Innisfil, Orillia, Angus, Barrie and throughout Simcoe County!